Louisville, Kentucky - Rev-A-Shelf acquires CompoKeeper from parent company 1908 Brands. Rev-A-Shelf, LLC announced the acquisition of CompoKeeper from parent company 1908 Brands of Boulder, Colo. Rev-A-Shelf General Manager David Noe alongside 1908 Brands Founder and CEO Steve Savage issued joint statements confirming the sale which closed on May 1, 2018. “We believe the addition of the Compokeeper will fit perfectly into our extensive customer base in the Kitchen & Bath Industry. Utilizing this product as a free-standing unit or a pullout cabinet component will allow our customers to address the growing composting movement nationally,” said General Manager David Noe. CompoKeeper was created to make in-home composting simpler and cleaner to increase the number of people adopting the eco-friendly behavior in their everyday lives. 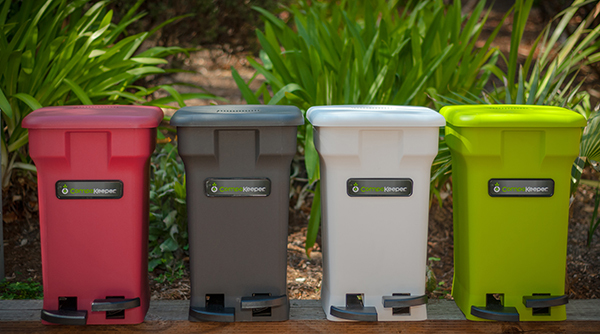 The CompoKeeper is an innovative compost bin that eliminates all that stinks about kitchen composting. “I’m excited that CompoKeeper has found an excellent partner in Rev-A-Shelf. Rev-A-Shelf is the perfect team to add composting bins to the trash and recycling container system. The sale of CompoKeeper to Rev-A-Shelf ensures that the compost bin will be added as a staple in kitchens, a huge benefit for homeowners and the planet,” said CEO Steve Savage.